Arborlawn's Boy Scout Troop, Troop 50 will host their annual Chili Supper on Tuesday, November 6 from 5:30-7:30 pm in the Family Life Center. Tickets will be sold in the Lower and Upper Commons on Sundays October 14 and November 4. Tickets are $5 each or $20 for 5 tickets. 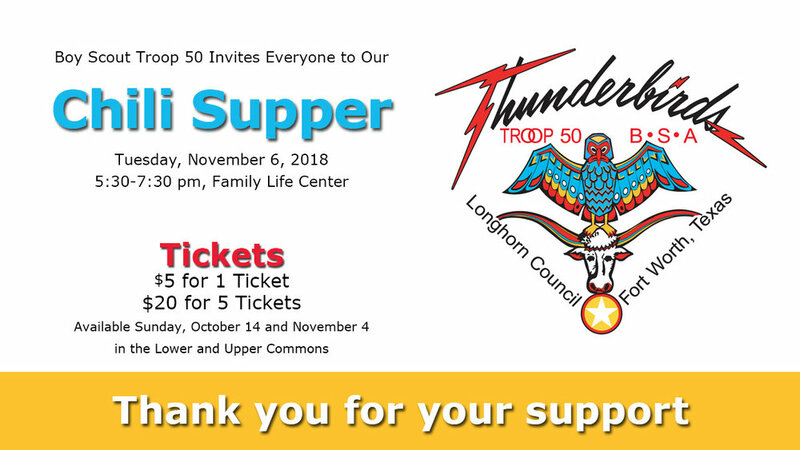 Troop 50 thanks you in advance for your support!